As the mum of a gymnast, I was recently asked by Head Coach, Gemma Coles, to review her Gymnastics books, Head over heels about…Gymnastics, Volume 1: Boys & Girls Floor Skills and Head over heels about…Gymnastics Volume 2: Pair and Trio Balance. Both books are spiral bound stand up style. This makes them very practical to use whilst following instructions and performing each skill, particularly if you prop them up to view at eye level (eg. on a desk or chair). The pictures and descriptions on each page are clear and easy to follow. The pages are simple and colourful which would be appealing for a new young gymnast. 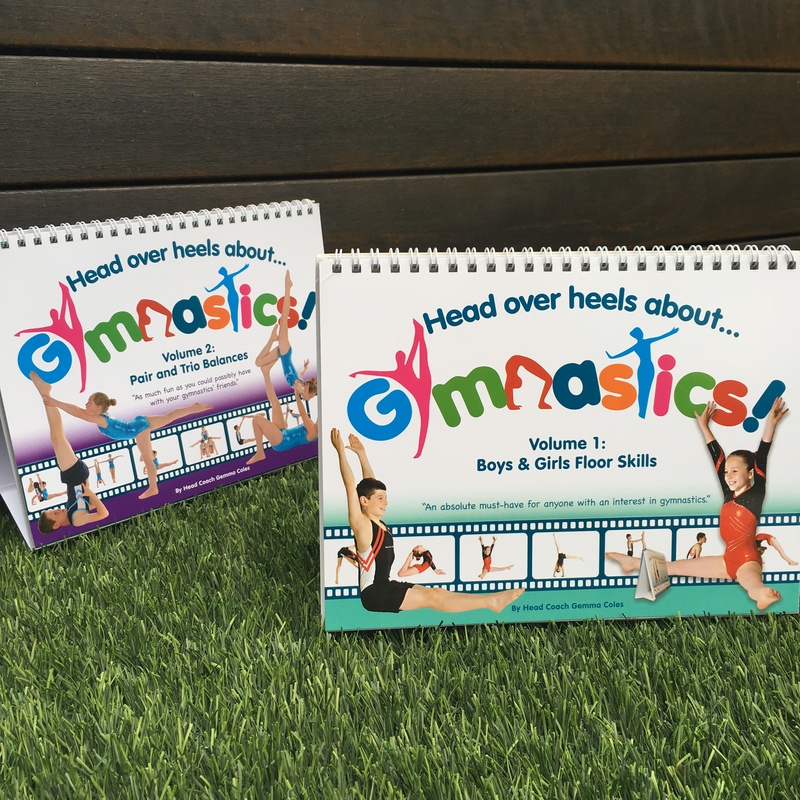 In Volume 1: Boys & Girls Floor Skills, the basic elements are covered from “gym” shapes, jumps, skills such as cartwheels and handstands, forward and backward rolls, leaps and even mini routines. This book would be great for any young child totally new to gymnastics wanting to give the sport a try before committing to classes. It is also suitable for a beginner gymnast wanting to learn, practice and further develop the basic skills at home. Volume 2 is a fun extension of the first book with pair and trio balances. Again, the pictures are visually appealing and instructions are clear. There are also handy hints to provide extra coaching tips. This book would provide lots of entertainment to gymnast friends who have already learned the basic skills from Volume 1. For more information, head to the website of Head Over Heels About Gymnastics or their facebook page. I was given these books to review but all thoughts and views are my own. I have since given these books away to a young girl new to gymnastics.